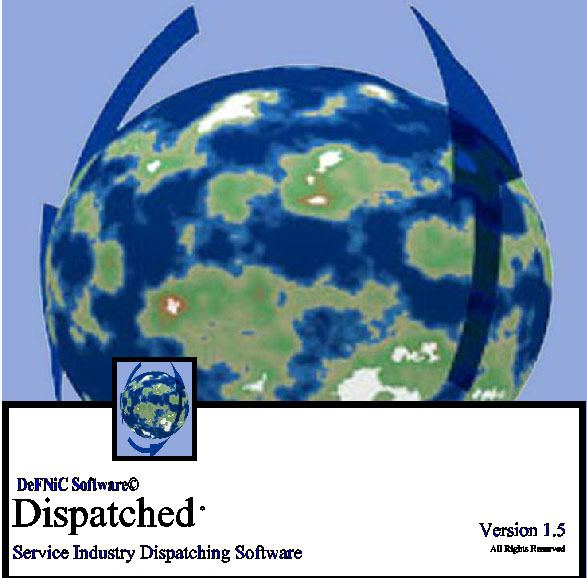 Dispatched is software designed for the service related industry. 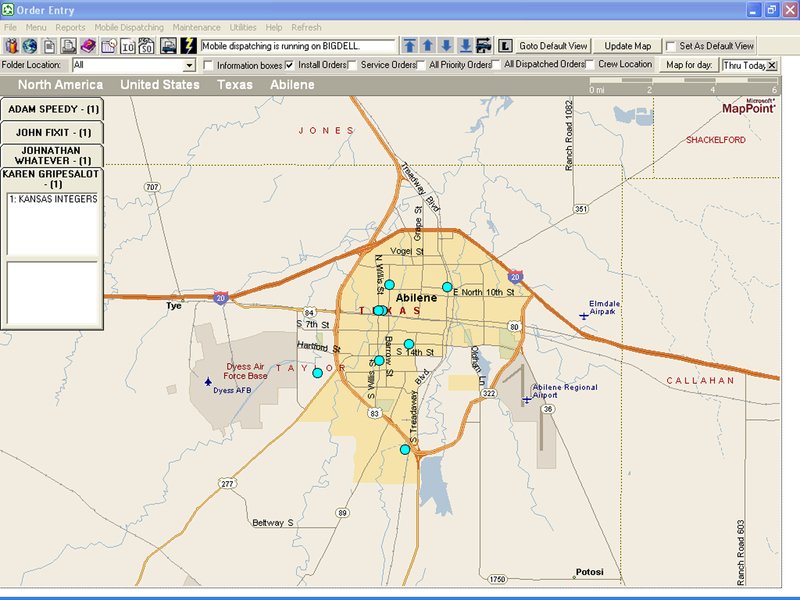 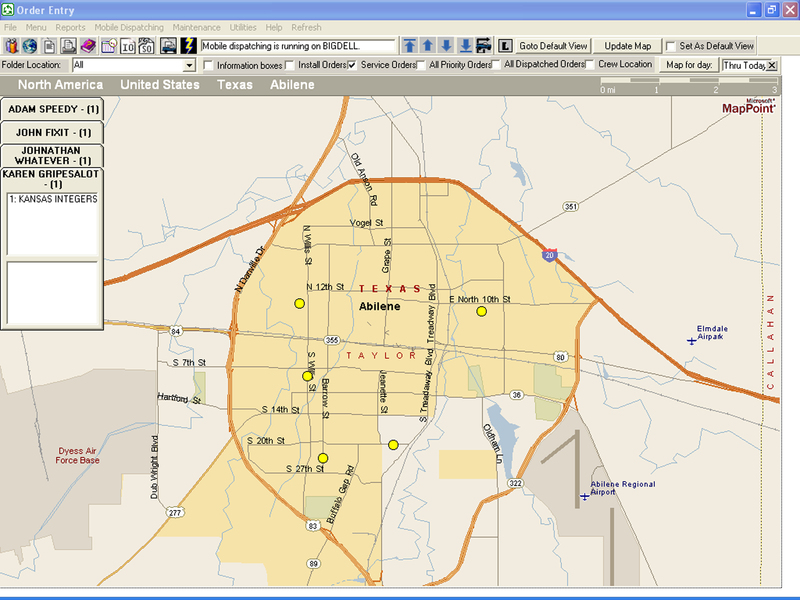 By utilizing customer information and placing this information on a map of your city, you can accurately dispatch service vehicles and personnel to an exact location without wasting time looking for an address or fumbling through paperwork. 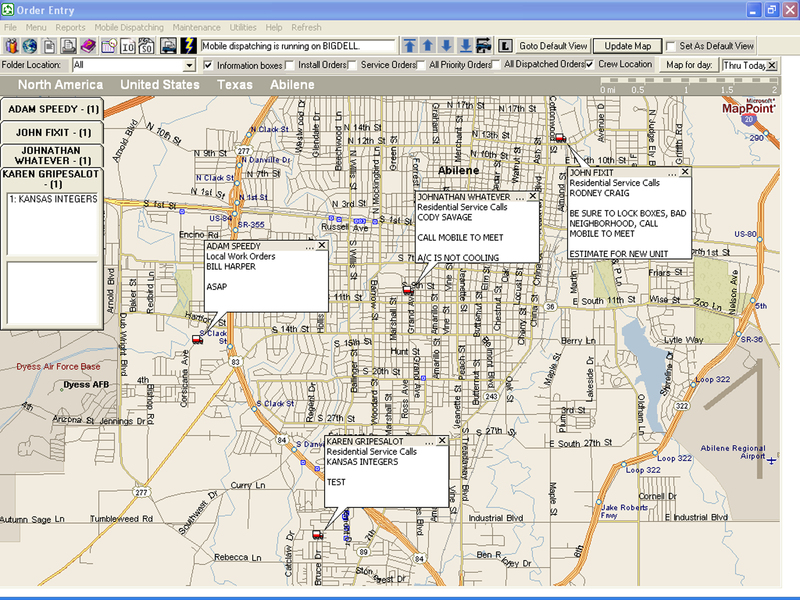 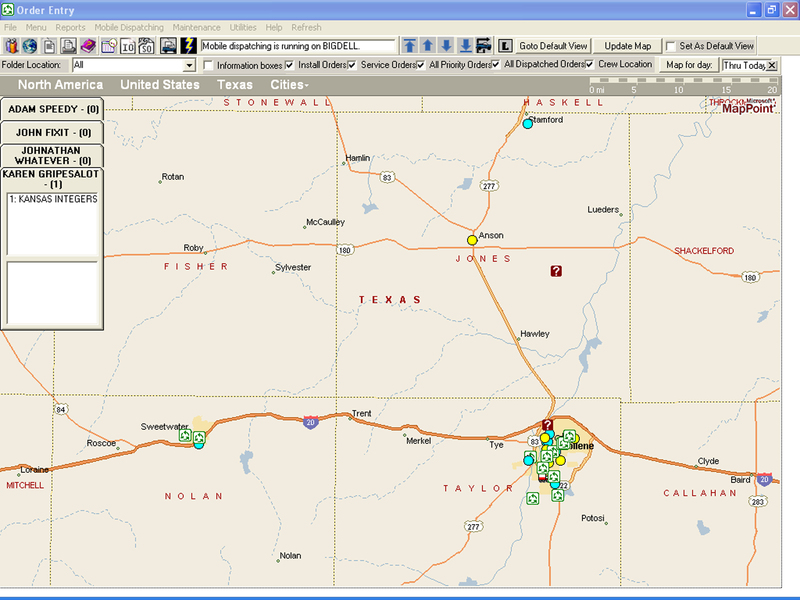 Just double click the work order on the map and dispatch it to a service crew. 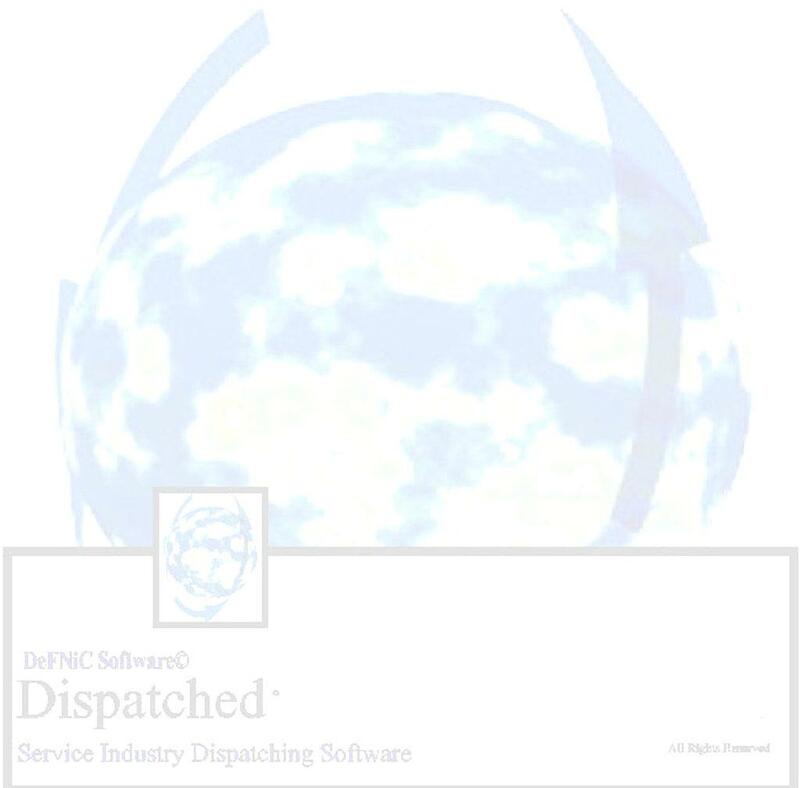 Dispatched is software loaded with everything you need to efficiently manage your service oriented business.